A man has been assault by three teenage boys on a man in Appleby town centre in Cumbria. Police say it happened near the post office on Boroughgate where the teenagers threw hard boiled sweets and the filament from a broken lightbulb at the man’s head. Anyone with information is urged to call PC 2174 Woolley on 101 or email 101@cumbria.police.uk. Alternatively Crimestoppers can be contacted anonymously on 0800 555 111. Residents in Appleby have been invited to a 'health and wellbeing day', where they can find out more about how they can remain stay fit and independent for as long as possible. The drop-in event will take place at the Public Hall, Boroughgate, Appleby CA16 6XB from 10am to 2pm. A number of organisations will be in attendance to provide information and answer questions. They include Age UK, Eden Carers, Eden Independent Living, Alzheimer’s Society, Appleby GP Surgery, Dementia Friends, Give A Day and others. This event for residents follows on from the ‘listening event’ which was held earlier this year where a number of local organisations came together to discuss the emerging health and wellbeing needs of the community in Appleby. The Environment Agency are inviting people to share flood protection ideas but many some residents say they just want flood defences built. Appleby has been named one of the country's first Heritage Action Zones in a bid to boost tourism by tapping into the town's history. 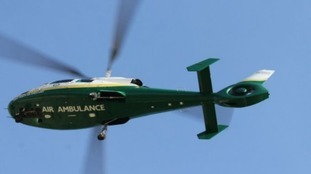 An infant was airlifted to hospital with a head injury, after a fall in Appleby. The incident happened at about 10:30am on Saturday 18 February. A team from the Great North Air Ambulance assessed and treated the 18-month-old boy, before flying him to Newcastle’s Royal Victoria Infirmary within 18 minutes. It was later found that he had sustained only minor injuries. Cumbria County Council looks set to approve plans to close a care home in Appleby. A report recommends the Cabinet should de-register Edenside care home, but continue to operate the care home in Penrith, where Edenside resident were transferred to during the floods. The council says work is already being undertaken to develop a robust plan to address and support the future needs of older residents in the Appleby area. World War II explosive has been recovered after police in Appleby cordoned off part of the town. The public in the Bongate area have been told there is no risk of any danger and an earlier cordon has been removed. A bomb disposal team from Catterick attended, assessed the situation and have taken the ordnance device away. Police would like to thank the public for their co-operation and patience. "Police can confirm that they are continuing to work with partners agencies and the EOD (Explosive Ordnance Disposal) to assess the piece of Ordnance found at Bongate, Appleby found early this afternoon. A 400m cordon has been put in place as a precautionary measure, whilst the assessment continues. This is within the pink circle on the map. Police and partner agencies are advising that those within the 400m of Bongate, Appleby are being asked to stay indoors and keep their windows and doors closed. Members of the public are being asked to continue to avoid the area." A report into how and why Appleby flooded during Storm Desmon is being discussed at a public meeting in the town tonight.